Please note: This is an internal project, we are therefore unable to sell assembled BTsense boards or their components. However, given the specifications listed below, one should be able to build BTsense boards by oneself. 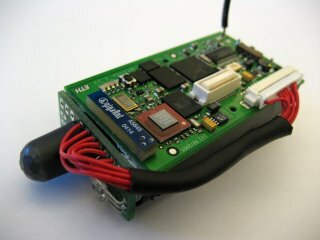 The BTsense board is a simple sensor board that is connected by the J2 connector to the BTnode. It was designed at the Institute for Pervasive Computing, ETH Zurich, to support the education of students. The size of the board (2x4cm) allows a fixing to the side of the BTnode. There is also a BTsense library, which comes with the BTnut distribution. It is located in /btnut/extras/btsense. Here is the documentation for the library.